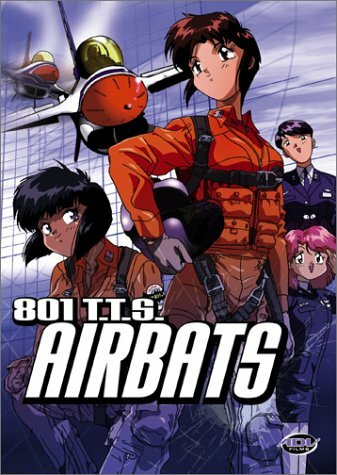 The 801 Tactical Training Squadron has a very distinct identity... it is an all-female air team who are nicknamed, "the Airbats", after their mascot. However, the team is ALSO consisted of mostly malcontents, loose cannons and karaoke nuts among the girls. The Japan Air Self-Defense Force is having serious doubts about the team's abilities and are considering disbanding the squadron. Takuya Isurugi, the new mechanic on the team (and a man) had the worst welcoming to the team when he accidently stumbled in the girls' bath while it was being used. From then on, things just went from bad to worst. But when a hotshot new squadron shows up, the girls have to find a way to get it together... or be broken up!